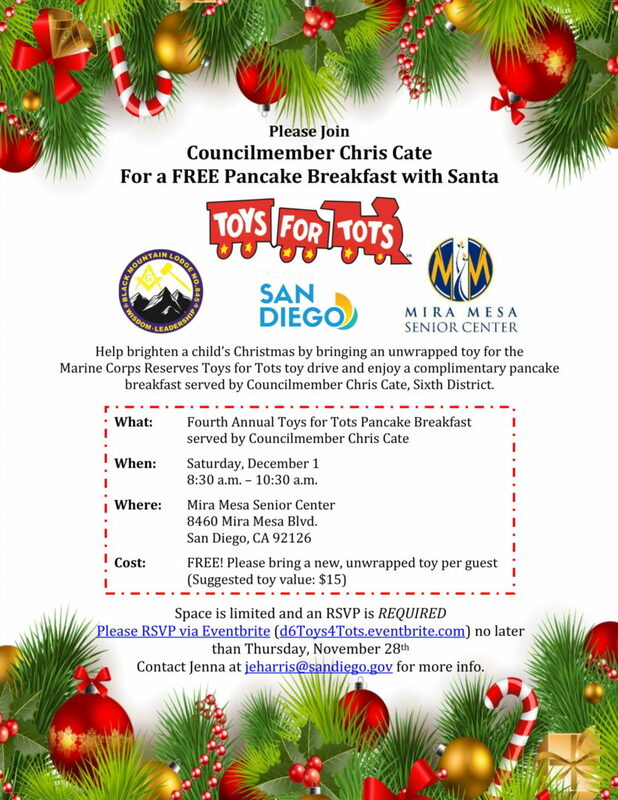 Help brighten a child’s Christmas by bringing an unwrapped toy for the Marine Corps Reserves Toys for Tots toy drive and enjoy a complimentary pancake breakfast served by Councilmember Chris Cate, Sixth District. When: Saturday, December 1, 8:30 a.m. – 10:30 a.m. Contact Jenna at jeharris@sandiego.gov for more info.